The April’s Microsoft Patch Tuesday includes a new cumulative update for Windows 10 Creators Update Version 1703. 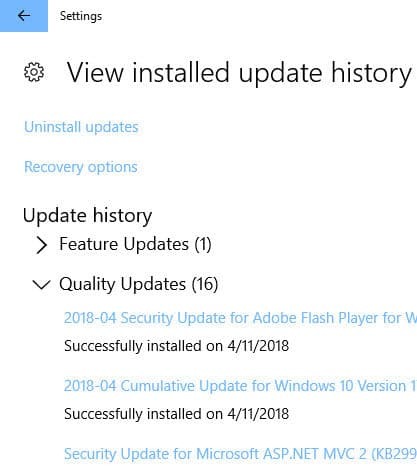 After installing this update KB4093107, the complete build number of Windows will become 15063.1029. You can check the current build number of your Windows Operating System by going to Run –> winver. In KB4093107, a total of 28 vulnerabilities have been fixed of which 6 are critical and 22 are important. Please note that you do not need any previous updates to be installed for installing this update. As this is a cumulative update, it will install the previous missing updates for you automatically. Just download it and apply it to your computer. Make sure your Windows version is Windows 10 Version 1703. If you already have the latest version of Windows 10 Creators Update Version 1703 and want to install just the latest update, then you can download the delta update which will save some bandwidth but only install the last update. If any updates are missing, you will need to install them before installing this update.